On Christmas night of 1998, Maria Meyers learns that her twenty-year-old daughter, Pearl, has chained herself outside the American embassy in Dublin, where she intends to starve herself to death. Although Maria was once a student radical and still proudly lives by her beliefs, gentle, book-loving Pearl has never been interested in politics–nor in the Catholicism her mother rejected years before. What, then, is driving her to martyr herself? Shaken by this mystery, Maria and her childhood friend (and Pearl’s surrogate father), Joseph Kasperman, both rush to Pearl’s side. As Mary Gordon tells the story of the bonds among them, she takes us deep into the labyrinths of maternal love, religious faith, and Ireland’s tragic history. Pearl is a grand and emotionally daring novel of ideas, told with the tension of a thriller. 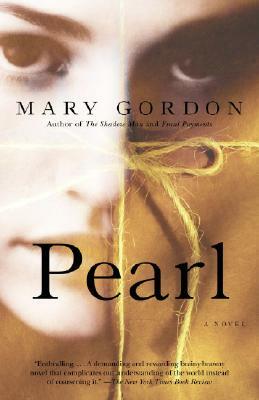 Mary Gordon’s novels include Pearl, Spending, The Company of Women, The Rest of Life, and The Other Side. She is also the author of the memoir The Shadow Man, among other works of non-fiction. She has received a Lila Wallace–Reader’s Digest Award, a Guggenheim Fellowship, and the 1997 O. Henry Award for best story. She teaches at Barnard College and lives in New York City. “Enthralling. . . . A demanding and rewarding brainy-brawny novel that complicates our understanding of the world instead of coarsening it. ” — The New York Times Book Review “Superb. . . . Beautifully realized . . . . Both an exploration of mother-daughter dynamics and an exploration of faith. . . . It is Gordon. . . writing at her best.” —The Seattle Times “Compelling. . . . Gordon tells a gripping story. . . .the issues couldn’t be more relevant.” — The Christian Science Monitor “Gordon raises important (and timeless) questions: is there anything truly worth dying for ? And is it always desirable to live? . . . [She is] a fiercely poetic writer.” —San Francisco Chronicle.